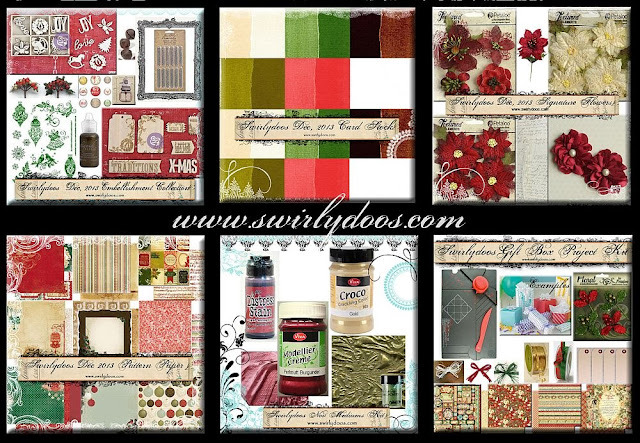 Scrapping Fancy: Welcome to Swirlydoos' December Kit Reveal Blog Hop Block Party!! If you came here from Bo Bunny's blog, then you are on the right track. If not, go back to Swirlydoos' blog and start from there. We have some amazing projects for you to see today !! Make sure to leave a comment on all of the blogs for a chance to win!!! Check out Swirlydoos on Facebook and Like Us!!! Are you a subscriber? If so, your kit is on it's way! 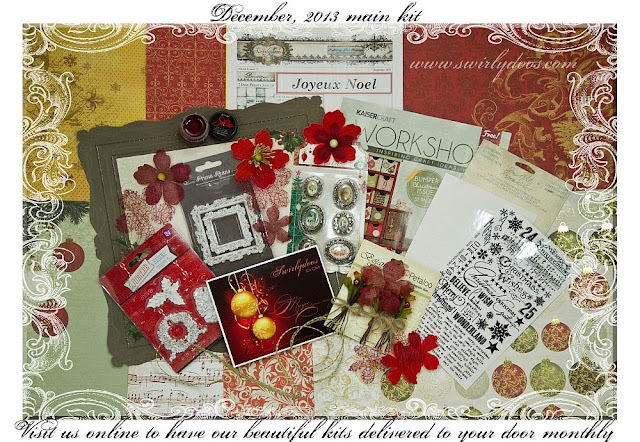 If not, check out the Swirlydoos store to see if there are any December kits or add ons in the store! Also, be sure to join us for the 12 Days of Christmas Contest- we are giving out prizes everyday! Check out the Swirlydoos blog for more details! It's my turn to do the Swirlydoos "Anatomy of a Layout" feature, where a designer creates a layout using only the main kit, and this is it. I took this picture of my littlest man two years ago. For step by step details, check out the Anatomy thread of the Swirlydoos forums. This box is the inspiration for the Twelve Days of Christmas Contest for today (the 5th). I used the punch board from the project kit to create the box. Fabulous projects! thank you for all the holiday inspiration! 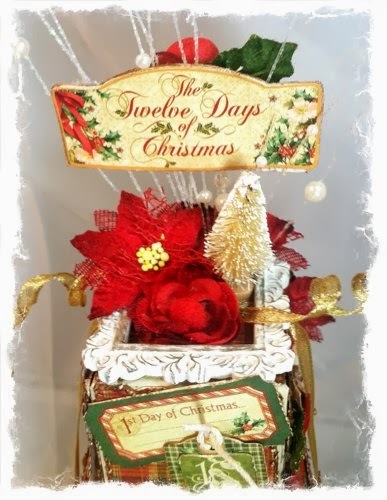 LOVE the 12 days of Christmas decor boxes. That layout of Elijah is awesome. Love it! 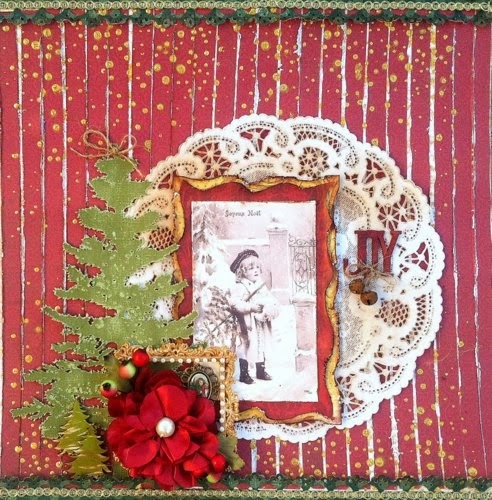 Such Lovely ideas and inspiration :) thank you for sharing. Love the layout and picture of the little one!! Great take on the inspiration LO!!! Gorgeous projects! Absolutely LOVE your gift boxes! Wow you have lots of Fabulous projects and great inspiration. I just love all of them...awesome job! Wow! that box is amazing!! Your projects are all so gorgeous! I love seeing what spin all the designers put on the sketch to make it their own!!! TFS! Rae, OMW..... You did amazing work this month! I love all your projects honey. Gorgeous projects! You always amaze me! Love that layout with your sweet boy! I love your layouts and your gift box project! I will definitely be back to watch the tutorial. My fav is the second layout with the little sweetheart in it! :) Wishing you and yours a very happy holiday season! All the best! 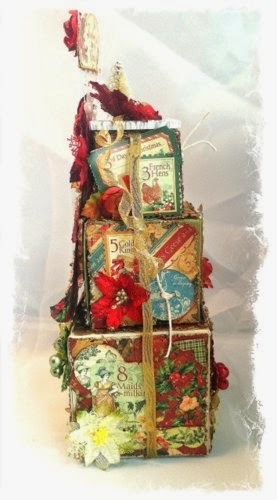 Those stacked holiday boxes are SO beautiful!! What a work of heART !! Thanks so much for sharing your talents with us! simply beautiful! LOVE the stacked presents! They look amazing! I love all of your projects, Rae, but I have to confess that my favorite is your Believe layout; Eli is just adorable!!!!! Wow, love the gold box - so gorgeous!! And your stacked boxes too, lovely! WOW! That is all I can say - all of your work is totally lovely! 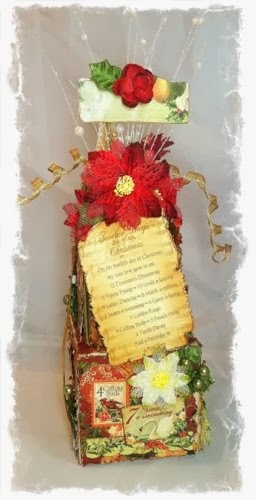 As usual I just love all of your projects - I can't wit to get my hands on my new tool so I can make a gifts box tree inspired by yours!!!! Beautiful how you made the gold snow on the first layout! 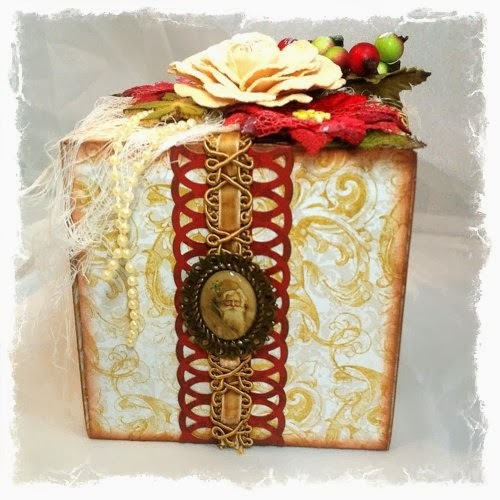 I also just adore the gold gift box and the stacked boxes, too!!! Amazing talent! Love the gold gift box! The Believe LO is a stunner and those gift boxes are also awesome! WOW! WOW! WOW! I am speechless!!! your layouts are gorgeous, but I almost fell off my chair over your boxes!!! Thanks for the tutorial. I am going to come back when I have more time and watch it again. Your projects are stunning, you are really talented! 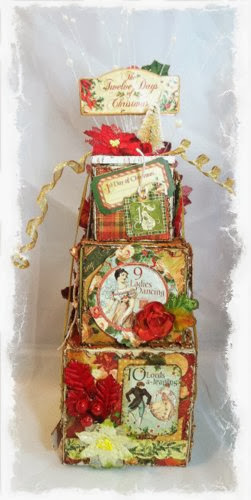 I love all of the details and embellishments, thanks so much for sharing. I love your Believe layout! Awesome layouts and lovely boxes. beautiful layouts - and the stack of boxes and gold gift box are absolute stunners! Just lovely - very original and creative. I'll be back to see what next you've created! Your layouts are lovely. Those gift boxes created by the punch board are amazing. Rae, you are always inspiring but these projects are truly exceptional-Merry Christmas to you and your beautiful family! I just love those 12 days of Christmas boxes. Your layouts are fabulous too. 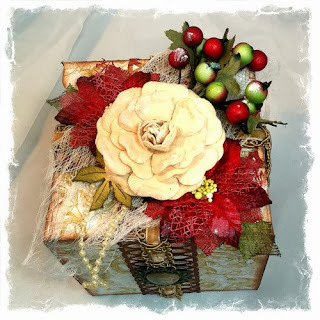 Your decor boxes rock! Lovely work and thanks again for the opportunity to guest design! Great projects! Love to see all the variety and it sure helps with inspiration. wow wonderful full of Holiday inspiration!!!! Nice layouts. I like that Coredinations tree, it looks great. Your gold box and the 12 days boxes look really great too.